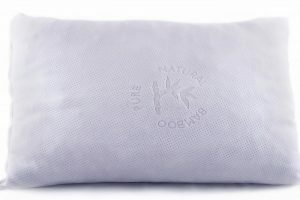 The Snuggle-Pedic Bamboo Shredded Memory Foam Pillow is the ultimate solution for all sleepers. It provides the neck with the perfect support while sleeping. 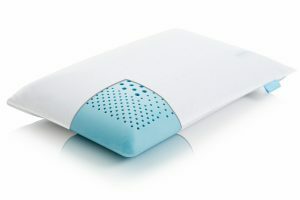 Its Kool-Flow technology keeps the user cool all night long, and provides a comfortable hassle-free sleep. 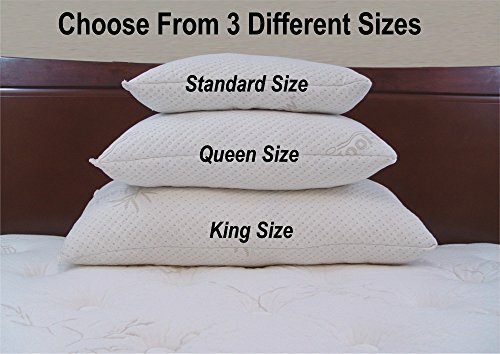 The Snuggle-Pedic Bamboo Shredded Memory Foam Pillow comes in the standard queen-size so that it provides the perfect support and conveniently molds to the average users’ head and body. Additionally, the shredded foam technology applied in the pillow helps the pillow breathe more easily so that the cooling sensation is never lost and is perfectly balanced. The product has been certified by Biogreen and CertiPUR U.S. standards. It is made of 43% viscose from bamboo, 54.6% polyester and .6% lycra. 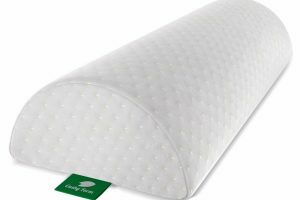 Compared to all other brands of shredded memory foam pillows, the Snuggle-Pedic Bamboo Shredded Memory Foam Pillow has an edge that is preferred more by the consumers themselves. There have been very few complaints regarding the product and additionally, Amazon.com provides it with its leading 20-year warranty. This further shows the belief of the company in this brand of product. 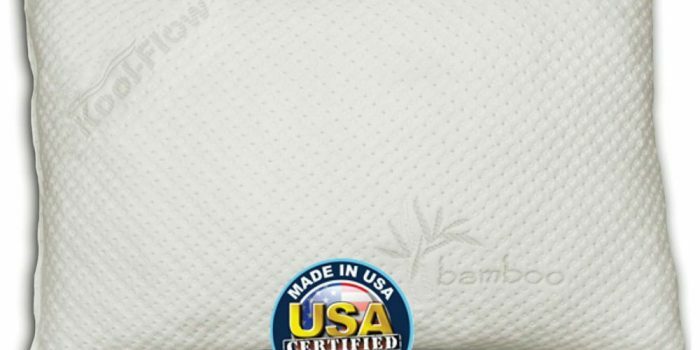 The Snuggle-Pedic Memory Foam Bamboo Shredded Pillow provides orthopedically certified good sleep to all sleepers. It is an all-round product that supports the neck for back, side, and stomach sleepers. The pillow is completely washable by machine. Additionally, it is hypoallergenic and dust mite resistant as well. The 90-day free trial, with personal customizations available in case of any complaints is a definite plus. The 20-year limited warranty is a show of confidence in the product by the marketing company. Close to nil complaints have been registered for the product. The pillow never stays flat and is moldable to any kind of body shape and size. It comes in the standard queen-size for better usage, as well as comfort. As a consumer, it your right to be able to compare and contrast between the products you can use. You should take into consideration the same product from various brands and then choose the one that makes the most sense to you, or appeals more to your tastes and preferences. Here we have provided a bias-free comparison of some of the shredded memory foam pillows by a few leading brands, for your perusal. 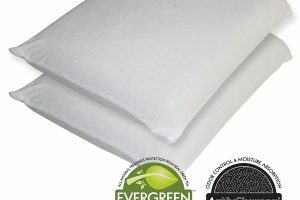 Shredded memory foam pillow available at Coop Home Goods, is a highly recommended product that comes in both queen and king sizes. It provides a 30-day free trial. There are added features of plushness, breathability, and shape maintenance. It also keeps you cool all night. Classic Brands Conforma provides another one of these pillows for consumers. The pillow molds itself according to the temperature and shape of the user. The Conforma Shredded Memory Foam Pillow is perfect for side and back sleepers. Yet, the Snuggle-Pedic Memory Foam Bamboo Shredded Pillow beats them all with its 20-year limited guarantee and an exceptional 90-nights free trial. It is eco-friendly, biodegradable, and user-friendly to the utmost extent. 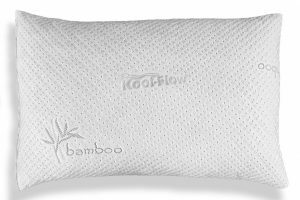 The Snuggle-Pedic Memory Foam Bamboo Shredded Pillow is the ultimate solution to all sleeping problems. It is an all-round product that provides support orthopedically, to all neck, back, and stomach sleepers. The product molds itself to the head size and shape of the user. The shredded quality of the memory foam provides an extra plush, and never lets the pillow go flat. The Kool-Flow technology gives a soothing cool feeling that results in a carefree and relaxed sleep for the user. The product has not faced many complaints, and the pros of the product definitely outweigh its cons. It gives tough competition to all other memory foam pillows on the market.